It has always been DSH’s dream to own a place at The Lake. This year we realized that dream when we bought the Little Cottage on The Lake. It’s not fancy, but it sits on a nice, flat lot, has 60 feet of lake front and a dock where we hope to put a boat someday soon. We were offered the place by one of my best friend’s parents who were ready to sell. We have been coming to the place for nearly 23 years as guests so it already holds many memories for us. 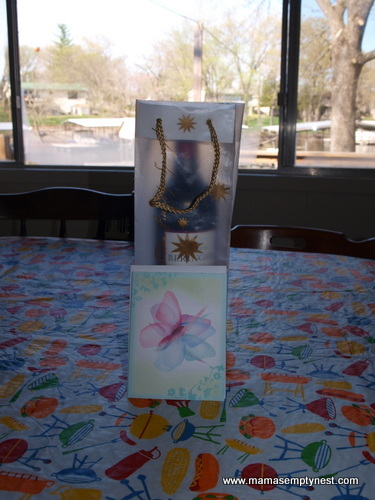 On our first visit, a bottle of wine and a lovely note from them welcomed us to our new vacation home. This is where we go to relax and unwind. We do that in different ways. DSH’s idea of relaxing is puttering around the place. Cutting and trimming grass for ourselves and our neighbors. 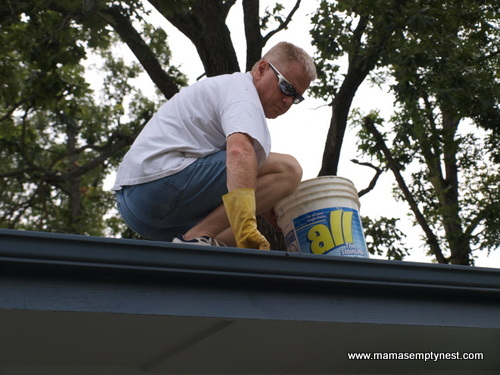 Cleaning the leaves out of the gutters and sweeping the leaves and limbs off the roof of the cottage. Working on routine maintenance items and trying to decide what changes to make to the place to make it our own. 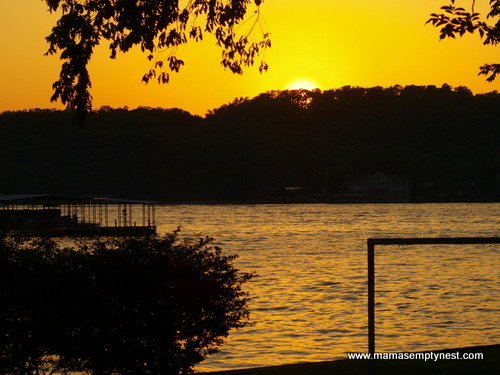 Two of the nicest times of day at The Lake are sunrise and sunset. Having a cup of coffee while looking out over the smooth surface of The Lake in the morning and sitting on the swing while watching the sun set in the evening are very calming. 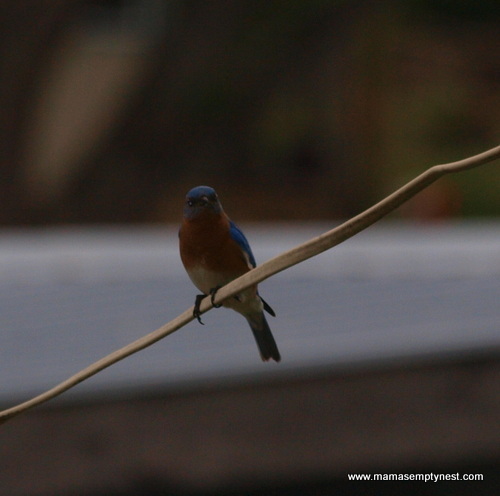 In the Spring, the wild life at The Lake was fun to watch. Before Memorial Day and after Labor Day, The Lake is much quieter than during the Summer season. 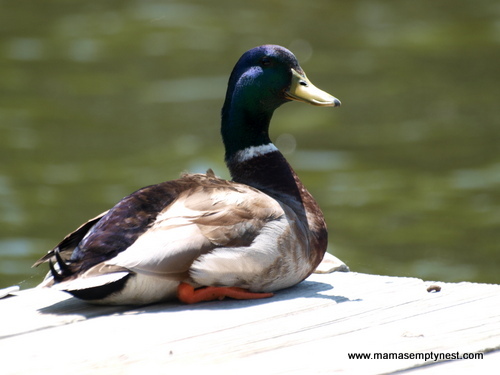 In the Spring, Daddy duck sat on our dock while Mama duck escorted her dozen or so chicks under the docks. 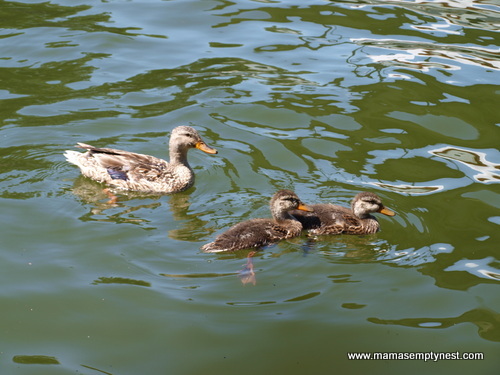 Two chicks survived the Summer and continue to follow Mama duck around. We didn’t spend as much time visiting this Summer as we expected because of having to spend so much time in Minnesota with my sister while my BIL was on hospice care. We made it in May for Mother’s Day, but we missed Memorial Day weekend and Fourth of July. So, when we were able to spend Labor Day at The Lake, like we have for a few years now, it was fun. And the fact that we had a hot and sunny weekend after a cool and wet Summer was an added bonus! DSH fished with his great grandfather’s cane pole. He didn’t catch anything, but he also didn’t sit for very long either. 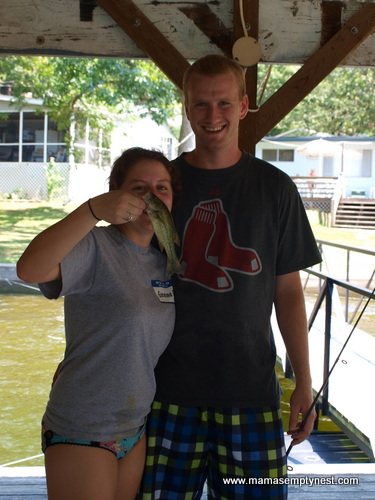 The kids had better luck fishing and even caught two large mouth bass. 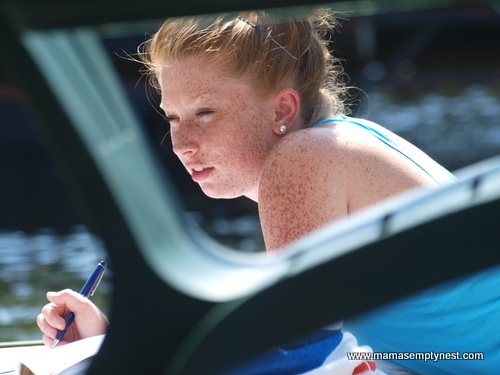 Studying was much more fun while laying on the swim dock. We’ve enjoyed getting to know the year-round neighbors and spending time with them. They are retired brothers who fought in WWII, and they have stories to tell! In a few weeks, we’ll winterize the place. I’m already looking forward to next season. Thanks for continuing to read about our journey! I respected Haiden’s mature ability to make the hard decision about her life plan. Take care and check back often!